Indigo Partners and Wow Air initiated diligence meetings this week in Reykjavik as the initial steps to a potential Indigo investment after the signing of a term sheet last week. A team from Indigo Partners spent the last two days with Wow Air management to review the business and opportunities of the airline going forward. The overall process is progressing and both parties are working to finalize the investment. 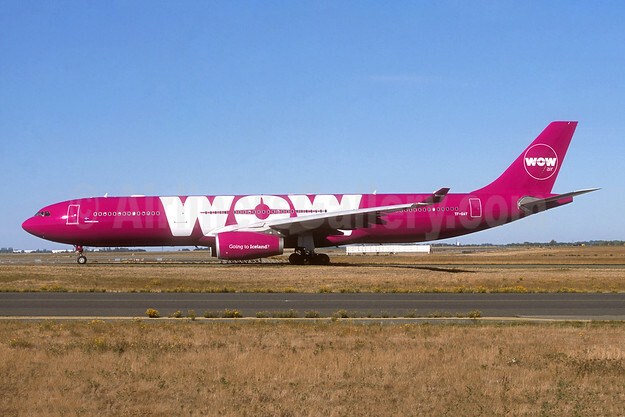 Issues remaining include Wow’s planned network development, vendor contracts including aircraft leases and certain waivers from Wow’s bondholders. “We are very pleased with the visit from Indigo Partners and it’s clear that we can learn a lot from Bill Franke and his team on how to build a successful low cost airline. I don’t think we can find a better and more experienced partner to bring WOW air to the next level,” said Skuli Mogensen, CEO and founder of WOW air. Indigo Partners is a private equity firm established by W. A. Franke in 2003 to pursue acquisitions and strategic investments in the air transportation and related industries. The firm was a lead investor in Tiger Airways based in Singapore and Spirit Airlines based in Ft. Lauderdale, Florida, and maintains lead investments in Wizz Air Holdings, Plc, a ULCC with multiple bases in Central and Eastern Europe; Frontier Airlines, a ULCC based in Denver; Volaris Airlines, a ULCC based in Mexico City; and JetSMART, a ULCC based in Chile. Indigo is headquartered in Phoenix, Arizona. Top Copyright Photo: Wow Air Airbus A330-343 TF-GAY (msn 1098) CDG (Jacques Guillem). Image: 944647. This entry was posted in Indigo Partners, Wow Air and tagged Airbus A330-343, Indigo Partners, msn 1098, TF-GAY, Wow Air on December 6, 2018 by Bruce Drum.